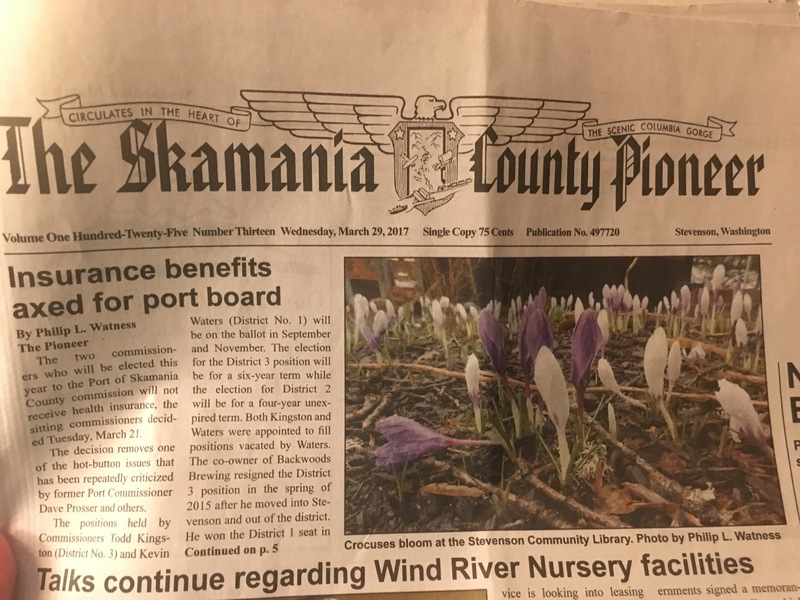 I spent a weekend on the Columbia Gorge recently, and happened to buy a copy of The Skamania County Pioneer, the local paper, in a Stevenson, Washington. 1. 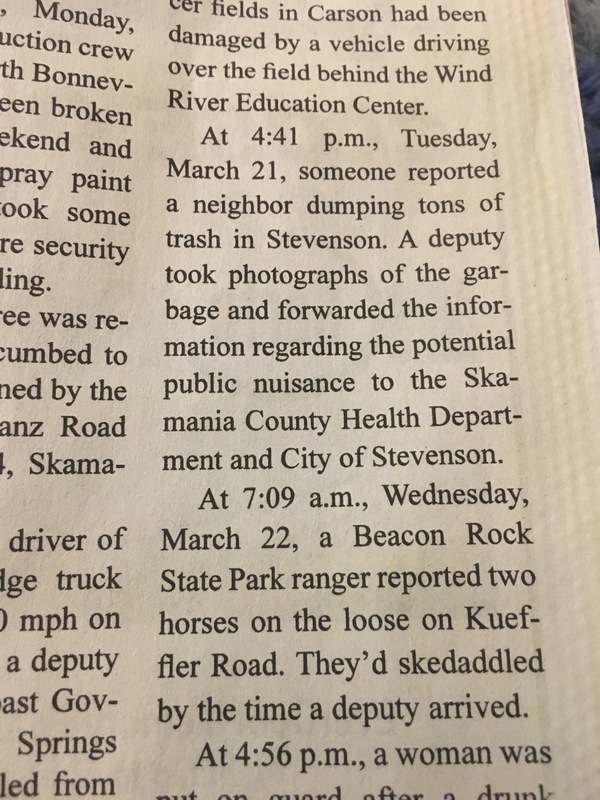 There are still local newspapers in small towns; isn’t that good to know? 2. 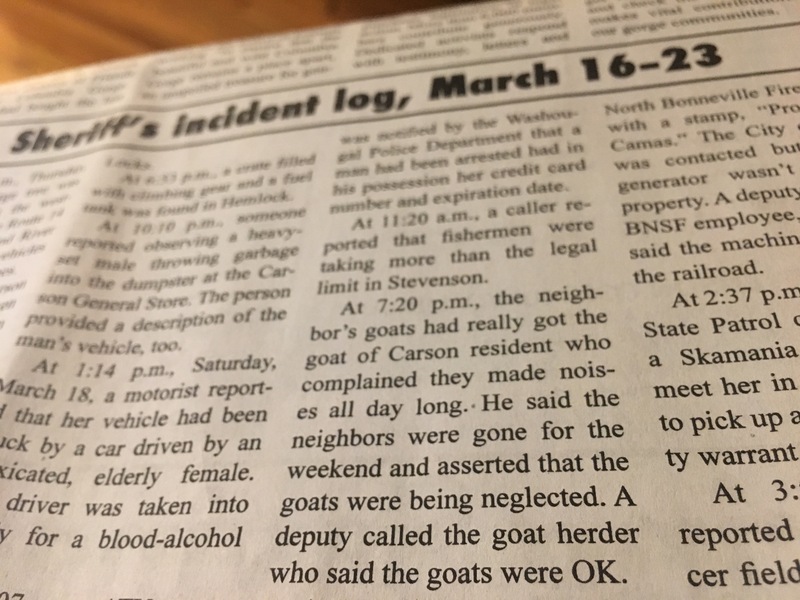 This paper has a Sheriff’s Incident Log that is pure, unadulterated GOLD. Out-of-towner subscriptions are only $35 per year. If you want to help support local papers, and can spare the cash, you can call (509) 427-8444 to subscribe and keep up to date on the happenings in the Gorge. 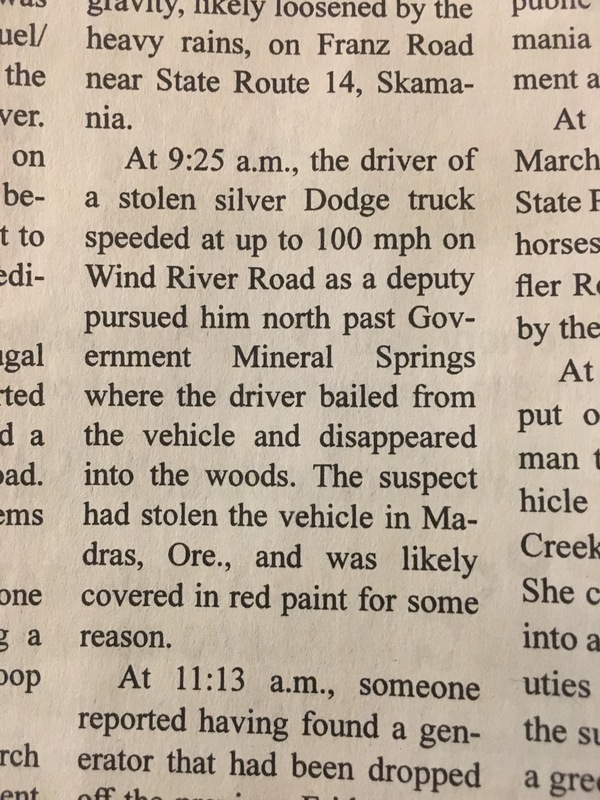 If you also like to use story prompts for writing exercises, you’ll be quite pleased with the Pioneer’s Sheriff’s Incident Log, as you’ll see in the photos below. 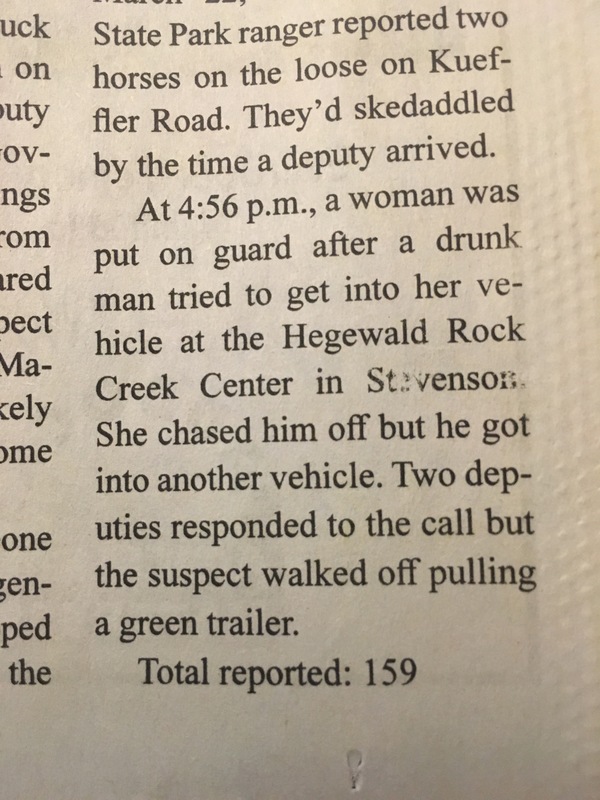 That green trailer haunts me to this day. Horses. Always skedaddling when you least expect it. Relax everyone. The goats are ok.